It’s hard to believe it’s now just over 20 years since the release of LeAnn Rimes’ debut album ‘Blue’. Many will be surprised to discover that she’s still been popping out albums long after the memory of ‘Can’t Fight The Moonlight’ faded. But what will David think of her new long player ‘Remnants’ in his latest album review? I was 12 when the movie ‘Coyote Ugly’ was released and for some reason I really bought into the storyline. It helped that the soundtrack was super catchy and featured one of my favourite songs from the early 2000s… ‘Can’t Fight The Moonlight’. LeAnn Rimes has been in the spotlight for as long as I can remember and found her way from winning two Grammy awards at the age of 14 to today where she releases her 11th studio album. So why am I reviewing a country album for a pop music website? Well let’s just say that this isn’t quite a pure and simple country album; there’s a parental advisory warning involved. 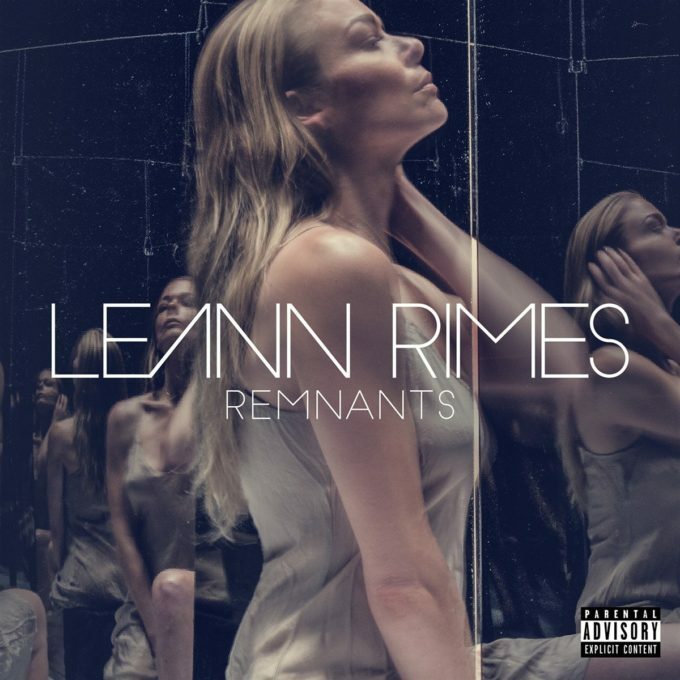 ‘Remnants’ is a surprising and catchy affair from LeAnn and features the mix of country, pop and blues that has made her a household name. With her new label Sony Music, LeAnn has ramped up the efforts and worked with some incredible songwriters for this collection of tracks. From Toby Gad (Beyoncé, Selena Gomez) to Diane Warren (Paloma Faith, Celine Dion), the cavalry has been brought in and it’s worked wonders. LeAnn hasn’t sounded this confident in years. One of the things I have always admired about LeAnn is how convincing of a storyteller she is. This is evident across all the tracks here as she paints beautiful pictures throughout the LP. ‘The Story’ is a great opener and while it was released previously by another artist, LeAnn makes it all her own; it’s emotive, catchy and relatable. Her voice is still as gorgeous as it was all those years ago. ‘Outrageous Love’ could be released by Adele and be a huge hit and should be for LeAnn too. It’s radio friendly, offers broad appeal by not being tied to one specific genre and again has some very relatable lyrics. ‘Mother’ feels deeply personal, especially if you think about the history between LeAnn and her parents in her younger years (LeAnn famously sued her father and manager for misappropriating funds which her mum helped uncover – it was settled out of court and she eventually reconciled with her father). This track ultimately pulls at your heart strings and it’s a favourite of mine on ‘Remnants’. LeAnn has created a really beautiful album here and it’s a pleasure to hear her with such a great collection of tracks after a few clunker albums. Call it nostalgia if you like, but this is one of my favourite albums from 2016. MUST LISTEN : The Story, Outrageous Love, Mother.